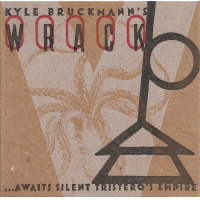 Following oboist Kyle Bruckmann's self-titled 2003 Toucan Records debut, Intents & Purposes finds his Wrack ensemble exploring a similar program of experimental chamber jazz. 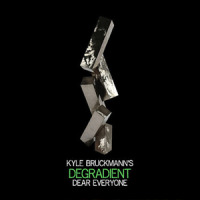 Bruckmann effortlessly occupies the space between jazz and classical music, generating movements of somber reflection one minute, turbulent intensity the next. From Morton Feldman-esque minimalism to Charles Ives-like bluster, Wrack has few equals. Bruckmann concentrates on oboe, but he also dabbles in English horn and suona. Since two of the group's original members were unavailable, he recruited bassist Anton Hatwich and bass clarinetist Jason Stein (heard recently with Ken Vandermark's Bridge 61 project). Violist Jen Clare Paulson shares the front line with Bruckmann and Stein. Tim Daisy again sits behind the trap set. Opening with the angular march cadence of "The System Cannot Withstand Close Scrutiny," the ensemble alternates between periodic thematic statements and inventive pairings. 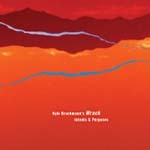 Bruckmann and Stein caterwaul in unison during an a cappella break, Hatwich's bass spars with Daisy's palpitating trap set, Paulson's viola soars lyrically over the collective ensemble, and Stein's bass clarinet clamors into the finale. "Slippery Disciplines" evokes the angularity of Anthony Braxton, with subtle AACM-inspired moments punctuated by explosive exclamations and rigid formalism. "Inasmuch As" begins as a propulsive journey for Bruckmann's lofty oboe before it derails into a frenetic discourse between Stein's barking bass clarinet and Daisy's skittering percussion. The title track begins in silence, gradually developing into an austere chamber piece before locking into a funky gait. "Further Ado" closes the album with a joyous riff, blending the quirky motifs of Raymond Scott with a postmodern Rube Goldbergian twist. Emblematic of both Braxton and Henry Threadgill's circus-like themes, it blends a zany line with taut improvisation and unconventional tonalities. Historically, attempts to combine classical music with jazz often tend toward the programmatic and cerebral. 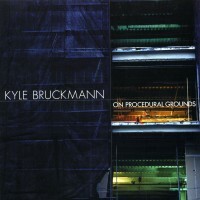 Bruckmann's writing sounds wholly organic and natural. With Intents & Purposes, he delivers an album rich with tricky contrapuntal writing, bolstered by unusual arrangements and intricate interplay. Whether Wrack qualifies as free jazz, chamber jazz or some other hybrid is irrelevant: this is music made by artists unafraid of genre constraints. Track Listing: The System Cannot Withstand Close Scrutiny; Slippery Disciplines; Inasmuch As; Intents & Purposes; Hot Bother; Despite All Evidence To The Contrary; Further Ado. Personnel: Kyle Bruckmann: oboe, English horn, suona; Jen Clare Paulson: viola; Jason Stein: bass clarinet; Anton Hatwich: bass; Tim Daisy: percussion.